While leading the Third Crusade, King Richard Lionheart battles treachery in his own camp as well as the Saracens and their charismatic leader Saladin. A fictionalized account of the early life of the American president as a young lawyer facing his greatest court case. Honest Edward Maynard finds himself serving as ship's surgeon under the infamous pirate Blackbeard. John Deakin is being transported, as a prisoner, on a train with supplies and medicine to Fort Humboldt, Nevada. 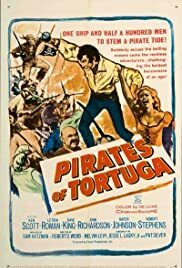 This is a fairly ordinary boys' pirate adventure memorable only for the over the top performance from Leticia Roman as the reluctant stowaway aboard Ken Scott's galleon embarked for the Caribbean and a battle of wits with Captain Henry Morgan (Robert Stephens) who has returned to his buccaneering ways after briefly working for the King of England. Roman acts as if she's just downed a pint of strong black coffee, and no doubt most self-respecting sailors would have thrown her overboard after having had their way with her. Somehow, though, not only does she make it intact all the way to Jamaica but she also manages to get Scott's insipid Captain Bart to fall in love with her. 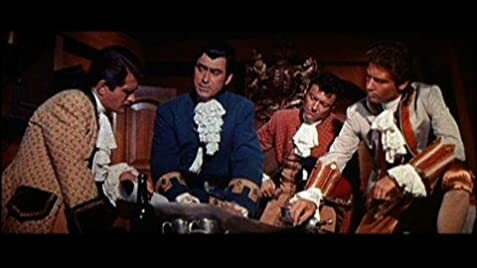 Robert Stephens as a slightly unhinged Morgan given to smacking the rump of his ever so slightly raddled lady companion is the highlight of the film, although he doesn't receive the amount of screen time he deserves. Curious to see British comedian Dave King appearing as one of Scott's swashbuckling sidekicks too. Other than that there really isn't a lot to say about this flick.